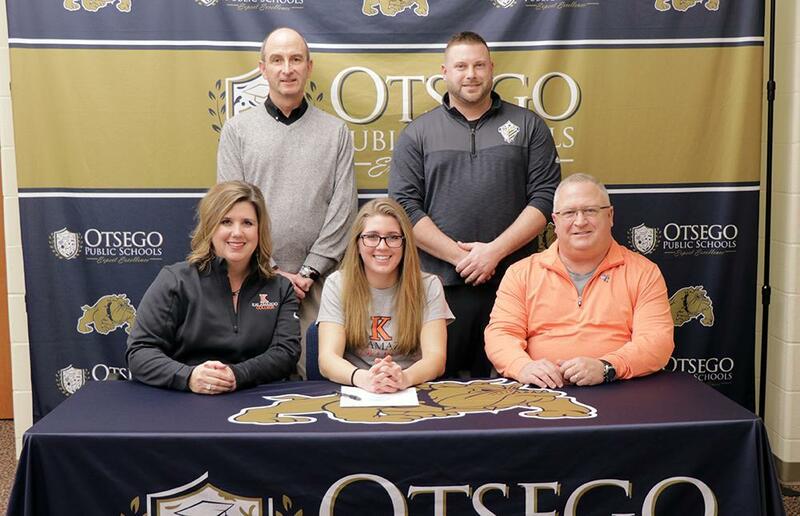 The Petty family won’t have to travel far to see their daughter continue her soccer career; senior Alexis Petty signed to play at K College in the fall. 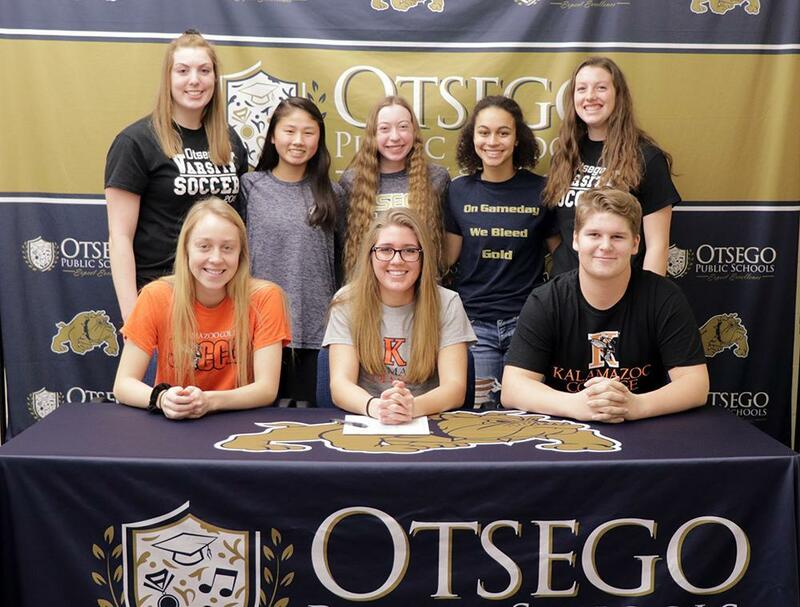 She’s been a 4-year varsity player for Otsego, now Alexis Petty is looking at spending the next four years just down the road playing soccer for Kalamazoo College. 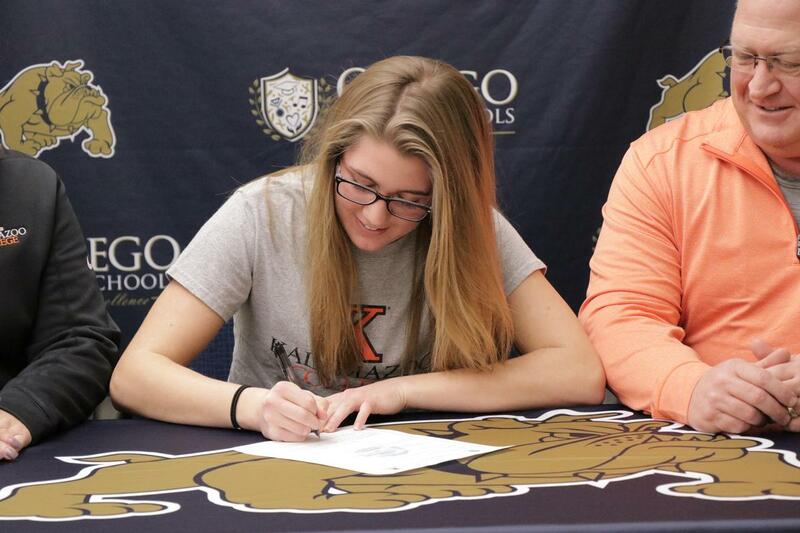 “Making it official to continue soccer at Kalamazoo College is joyful and exciting,” she says. Alexis has played soccer for 12 years. She received the Coach’s award her freshman year, MIP Sophomore year as well as 2nd team All-Conference, Honorable Mention Districts and Best Defensive Player Award. 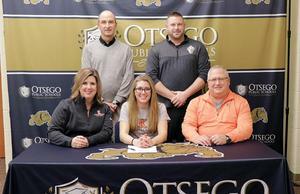 In her junior year, she earned 1st team All-Conference, All District Team, All Team Academic Award, Mikayla Cupp Award, and Best Defensive Player Award. Her senior season starts in just a few weeks, now without the stress of where she’ll continue after graduation, “It was quite stressful trying to find the right college that fit my needs, but K offered everything I needed and more. 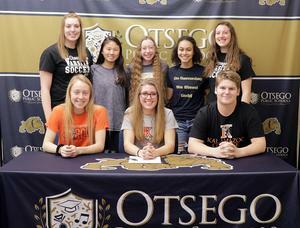 Those teams and teammates have created many unforgettable moments, “I think the most memorable moment would be defeating Plainwell in the rain this past year.” Petty is also on Student Council, in National Honor Society and in the Otsego Marching and Symphonic bands. Petty plans to study Business at K College and would love to have a career that involves marketing and management.